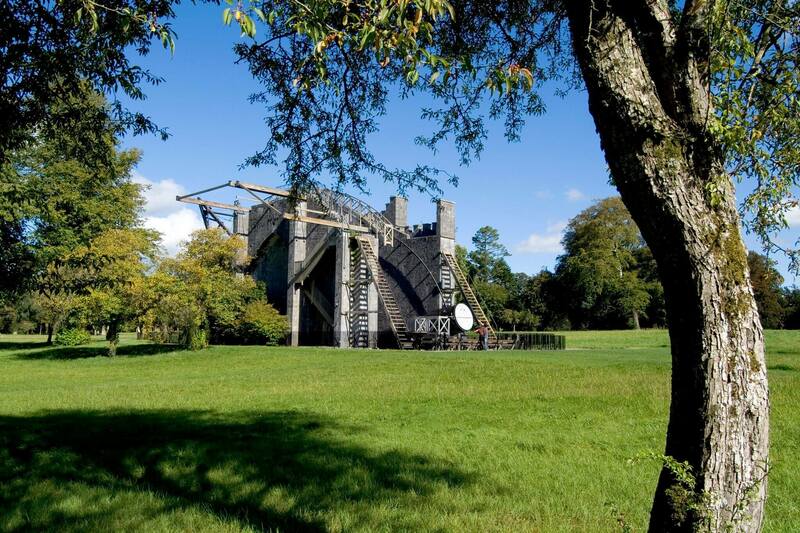 Birr Castle Gardens & Science Centre is home to 120 acres of gardens, over 50 champion trees, 10 km of walks, the Great Telescope, a Science Centre, Birr Castle, Ireland tallest Treehouse, an award-winning Cafe, gift shop, playground and an abundance of wild life. The Science Centre goes through the many pioneering feats of the Parson’s family who have lived at Birr Castle since 1620. The great telescope was built by the 3rd Earl back in 1845 and it remained the largest in the world for over 70 years. Michael Parsons invented the turbine engine and Mary Rosse wife to the 3rd Earl was the first award winning female photographer and her very dark rooms is here for all to visit. Many wonderful walks along peaceful rivers, lake and gardens. Birr Castle Gardens is one of Ireland most extraordinary places to visit in Ireland. Created over generations it is an environmental and scientific time capsule.